We have vast experience in the field of ADHESIVE TAPES and have a nation-wide network. We provide the best of the qualities at the most economical prices , that has helped us gain our Customer Trust. We keep our Customers at the top most priority and provide them with the best of our services. It is the trust which our esteemed customers have showed on us that has made us what we are today. 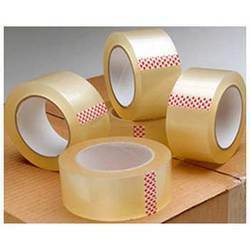 We have a WIDE Range of Self Adhesive Tapes from Basic Cello Tape and Brown Tapes to a variety of Special Adhesive Tapes. 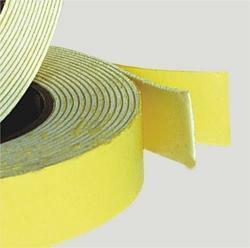 National Double Sided Foam Tape , Suitable for Bonding , Fixing , Joining and Mounting Solutions. 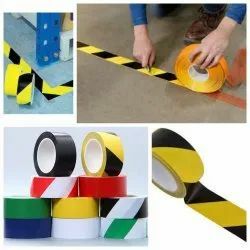 We are the leading supplier of Floor Marking Tapes. It's made from soft polyvinyl chloride (SPVC) as backing materials, good insulation, high voltage and temperature resistance. Flame retardant used for insulating protection of electrical parts and wires. They come in various Size & Color Options from 0.5 Inch onwards & above. When it comes to adhesion and durability Cello Tape provides the best solution. The adhesion is of high quality and makes them reliable. They work on varying surface and are apt for packaging and office units. They come with cutter for a precision cut so that there are no chances of wastage. We check the product for proper adhesion to enhance reliability. A tape dispenser is a product that make our lives simpler and easier. A tape dispenser helps you to take the tape out easily and cuts it without any hassle or wastage of time. The Deluxe quality tape dispenser by NATIONAL is just perfect for those who want compact a tape dispenser. It is made of highly durable material that ensures it's longevity and makes it ideal for everyday use. It features a sharp blade that cuts the tape smoothly and without any difficulty. The tape dispenser comes in a three Varieties and you can use reels of a supoorting sizes with it. The compact size of the mini dispenser does not take up much space on your table and also makes it easy to carry around when needed. It is available in an assortment of colors.